Orange Lake's West Village has it all! 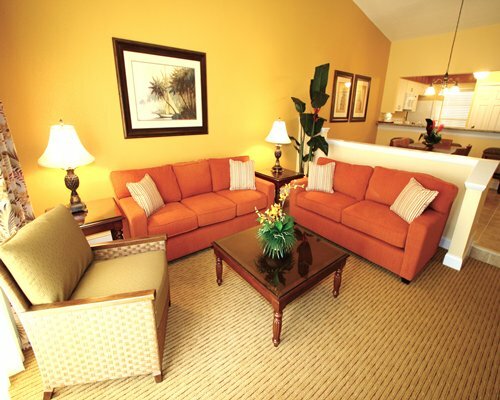 Orange Lake offers one-, two-, and three-bedroom villas, as well as studios and suites. And the West Village is in the center of it all! One-bedroom villas sleep four and feature a king-size bed and sleeper sofa. 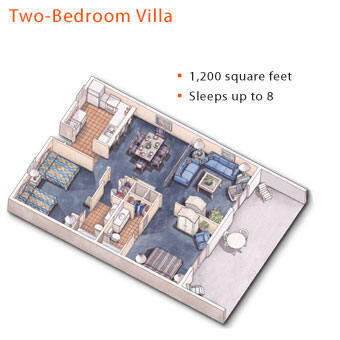 Two-bedroom villas sleep eight and feature a king-size bed in the master bedroom, two queen-size beds in the guest bedroom, and a queen sleeper sofa in the living area. Three-bedroom villas sleep 12 and feature a king-size bed in the master bedroom, queen bed in the second bedroom, two queen-size beds in the third bedroom, and two sleeper sofas. 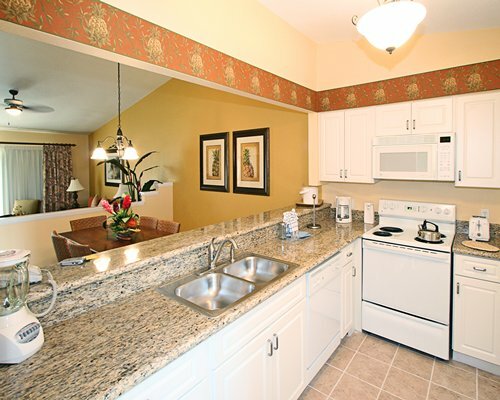 All villas are equipped with a full-size kitchen, TVs in living room and bedroom(s), washer/dryer, and more. On to River Island, Orange Lake's newest addition. Spanning 12 acres of tropical scenery, River Island features two beach-style wade-in pools, two spas, and a lazy river-style pool where you can just float the day away in an inner tube. There are two walk-up pool bars for drinks and snacks, and water volleyball and basketball pool areas.